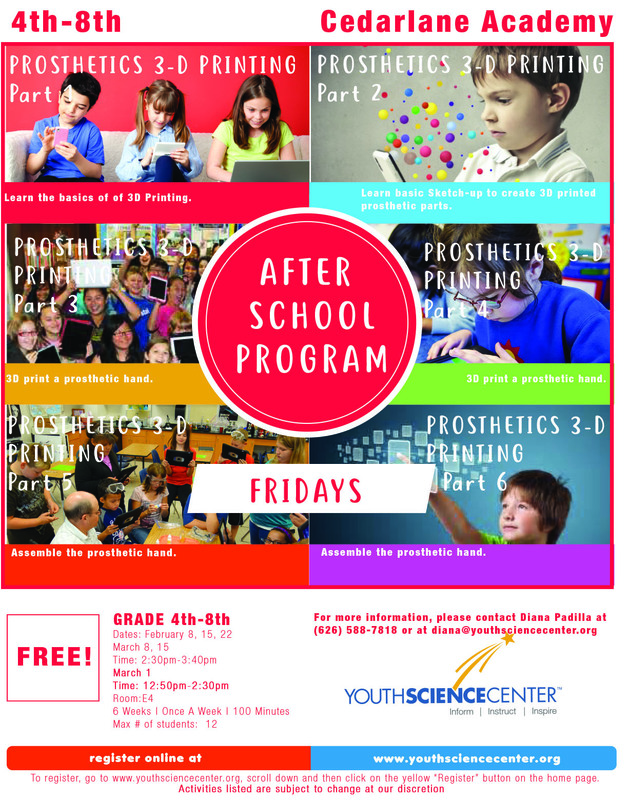 Come and join us for our After School Science Discovery! Fun-filled hands-on science activities await your child! Create your own prosthetic hand using CAD (Computer Aided Design) software and 3-D printing! Classes will be capped at 12 students.